Do your homework. Familiarize yourself with the insurance and license conditions in the Central Florida area. 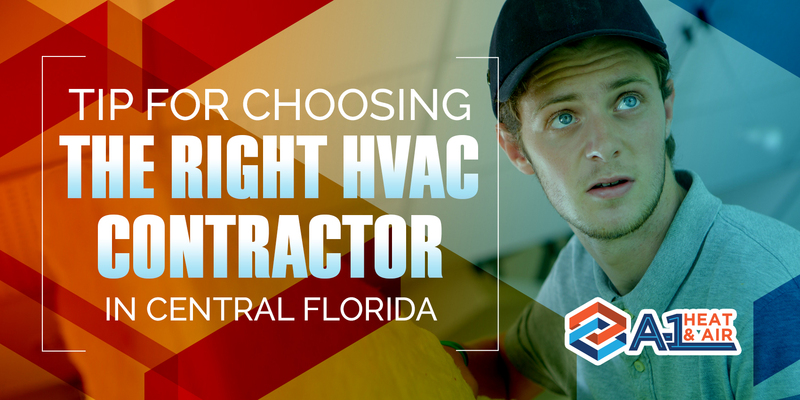 Smart customers do their research when it comes to HVAC systems and this helps them to know just what to ask, especially when it comes to certifications and legal requirements. Ask around for referrals. It is not wrong to ask names of contractors that your relatives and some trusted friends have used for their home services. You can also ask them how their experiences were and use this to narrow down your choices. You can also check and compare company reviews by searching their websites online. Speak to your candidates. After getting some leads, you may now interview your candidate contractors. Find out who can give a good impression of their business, and how they deal with potential customers. Attitude is an important consideration to know how the service technician can cater to your needs. Compare price and value. Many people choose the cheapest offers in town but wise homeowners know the complexity of HVAC systems and that only a qualified and highly-trained technician should lay hands on them. That is why, aside from the price, it is also important to take note of the skills of the technicians. Get written, itemized estimates. Most unreliable HVAC personnel and scam artists offer the lowest bids so before saying yes to any of them, be sure to request written quotes and itemized estimates. Take a closer look to what lies behind their promises about their job. Pay attention to the costs, energy efficiency and warranties. Put the details in ink and do not forget to sign a written proposal with the contractor before they start to work. Ask about their maintenance service. A contractor who offers a maintenance service is a good choice. Do not hesitate to ask for their maintenance plans. This will not just ensure your unit’s condition all year round but also helps to keep your warranty. If you are looking for a dependable heating and cooling company in Central Florida, A-1 Heat & Air Conditioning is just around the corner. Call us for services you can trust.